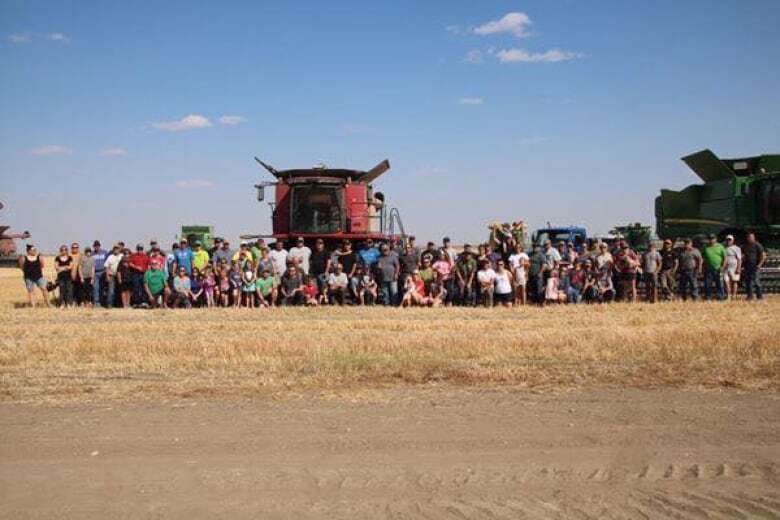 Twenty combines and drivers, along with around 100 spectators and volunteers joined forces to harvest Brian Williams' crop of durum wheat near Milestone, Sask. It was a day that Jeff Brown will never forget. 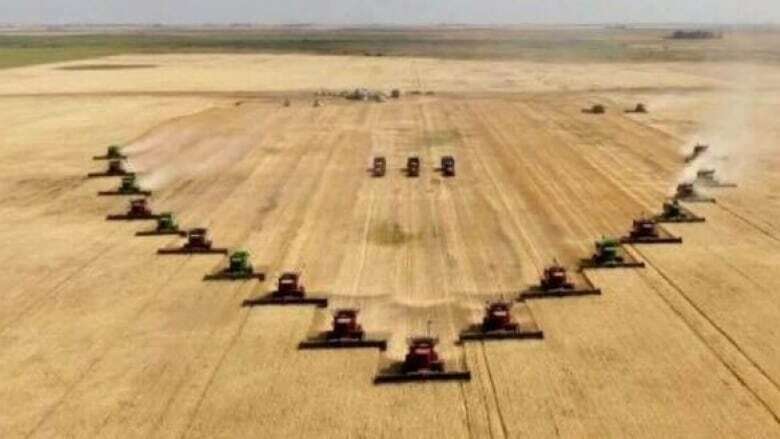 On Sunday, 20 combines and drivers, along with around 100 spectators and volunteers, joined forces to harvest Brian Williams' crop of durum wheat near Milestone, Sask. Williams died on Friday, right as harvest was getting underway. "We were hoping to get six or eight combines," said Brown, a family friend and organizer. "Next thing I know, we were telling guys, 'No, don't come.' It just snowballed." When neighbours heard Williams was in the hospital, they immediately offered their help during harvest but the family held off. After his death, the family relented. "They knew everybody was busy, and had their own stuff to do, and they kept putting us off," said Brown. "Finally, one day they said if a few of you want to come together, go tackle a field or two." Brown said he has never seen such a coordinated effort as the 20 combines harvested the section of land (258 hectares) in a matter of hours. "This was unbelievable," he said. "Anybody who was able to, they just came. They didn't take no for an answer, they wanted to be there, and they were coming." Brown managed to capture the event on video, flying a drone above all the action. He had the combines drive in a v-formation, headed up by Williams' beloved Case IH harvesters. Ultimately, he said Williams will be missed by everyone. "Brian was a community man," said Brown. "They've been huge supporters of the community, the rink, ball, the swimming pool, everything around town." A memorial service will be held Wednesday morning at the Milestone Memorial Rink. Milestone is 52 kilometres southeast of Regina.